Look, it’s okay. Not every wonderful game is perfect in all its facets. Take, for instance, the tricky and difficult world of voice acting. Sure, it’s gotten better over the years, but voice acting has always been a sore spot for the gaming industry. There are great voice actors, but then there are really, really bad voice actors. 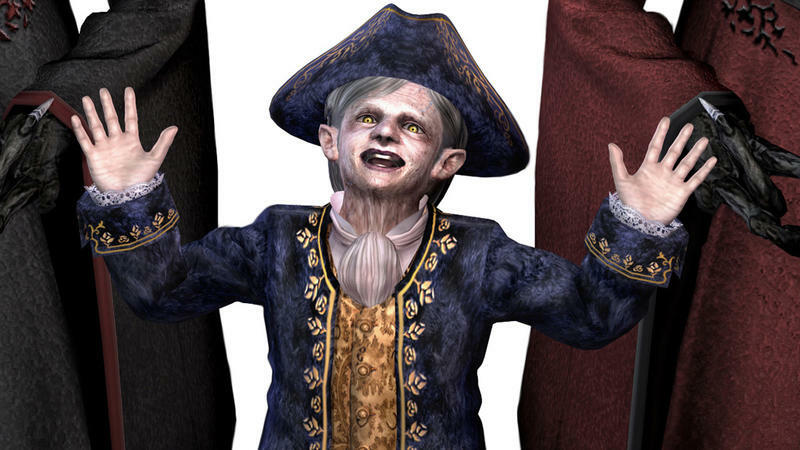 This list is all about the worst voice acting in our favorite games. Ron and I (Joey) sat down and hammered out a list of 10 of our favorite games with horrific voice acting. We still love them, we promise. 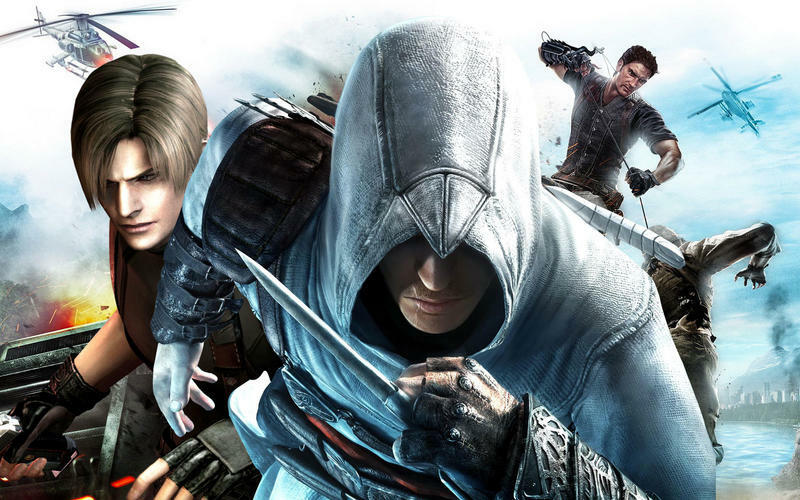 The original Assassin’s Creed felt like a small game with very big implications. The missions were very samey, the storyline had impressive notes over a simple arc and the load of characters was a bit easy to dismiss. Part of that pile of unrealized potential was the voice of Altair. 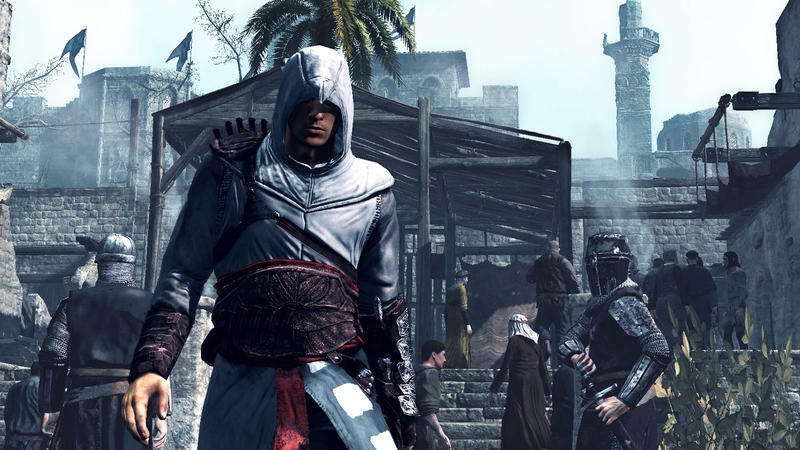 Altair wasn’t exactly bad, he was just so exceptionally plain and boring. Amidst espionage that literally spanned a millennia, we had Altair with small, boring one-liners that are delivered in stupidly dry tones. For what it’s worth, I also really, really disliked Connor’s voice acting in Assassin’s Creed III. Both his and Altair’s tones are so plain and basic. Like so many games on this list, Deadly Premonition falls victim of being a game made in Japan and then dubbed with B-list talent internationally. I’m more than sure that in its home country, Deadly Premonition probably featured at least passable voice acting. I love the game for its camp, its charm and its sub-par graphics. The whole thing adds up to this really interesting, horrifying masterwork that’s rightfully earned its own cult following. 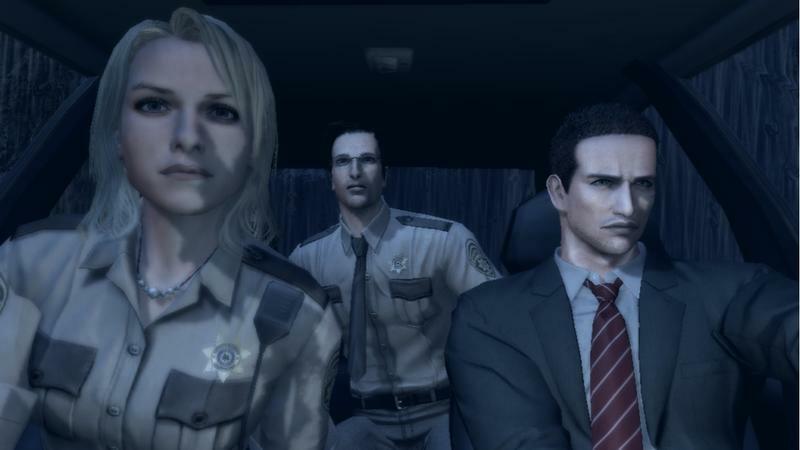 Deadly Premonition is good, good fun. The voice acting? Whew, boy, it’s bad. Power Rangers bad. Great game, though. Many believe the iconic demon slayer Dante to be the epitome of what we know as “cool.” He doesn’t flinch at danger, always has a witty comeback, and always seems to have the right line up his sleeve to throw back into his enemies faces. Only he really doesn’t. Dante doesn’t really develop this hard edge until the third game, with the original game keeping his more rustic qualities a bit more understated. It’s definitely there waiting to burst from the character, but his insults and taunts often fall flat thanks to a poorly overacted delivery. Granted, the whole purpose of Devil May Cry is to be a cheesy action game based on the ridiculous anime which was taking off at the time. It works towards the game’s strengths and never gets in the way considering how short the cutscenes really are. They are not supposed to be taken seriously. Stupid cheesy cliches have always been a staple of mindless action, and Dante is jam packed with this idiocy. This was one of the big failures of the DmC reboot, a game which committed the sin of taking itself way too seriously. The first Devil May Cry is total shlock and proud of it. Immersion is a popular word to throw around these days. Seems like some gamers just simply can’t get into a video game unless they are able to transplant themselves in the fictional world developers make. None have gotten more credit at creating these massive worlds than Bethesda. The Elder Scrolls IV: Oblivion gets most of the credit for taking role-playing to a new levels thanks to brilliant gameplay and fully realized environment with individual mountains, trees, and lakes scattered over hundreds of square miles of land. Now only if Bethesda could make interacting with humans as natural as the world its population inhabits. 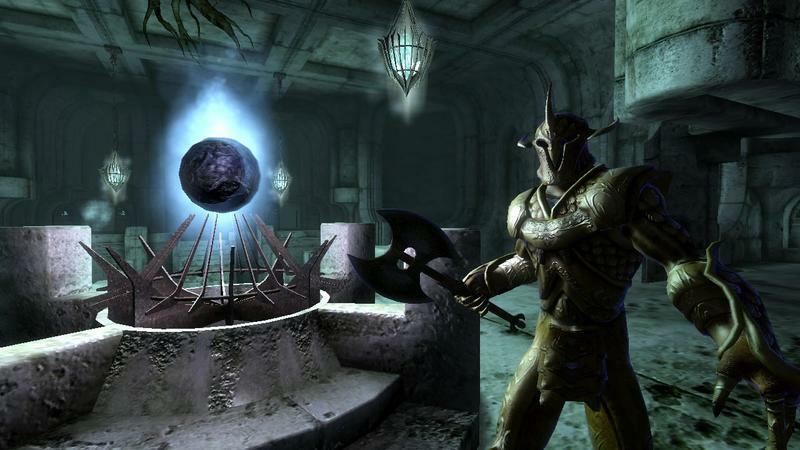 Nowhere in The Elder Scrolls IV does anyone seems human. Dead emotionless eyes are all you see when face to face with one of these beings, and more noticeable are their cold hollow voices. Every NPC in the game seems robbed of a soul. Emotionless robots merely fulfilling the programing their code writers had in mind when creating them through binary code. Bethesda hyped each character to have their own lives and daily routines, but what really separates humans from a computer program? A schedule or our emotions? Not until Bethesda wraps their mind around that conundrum can a real video game world actually be created. Sure, Heavy Rain packed a compelling story, some gorgeous visuals and a truly interesting cast of characters. It still stands as one of my personal favorite games on the PlayStation 3, though it’s probably not in my own top five. 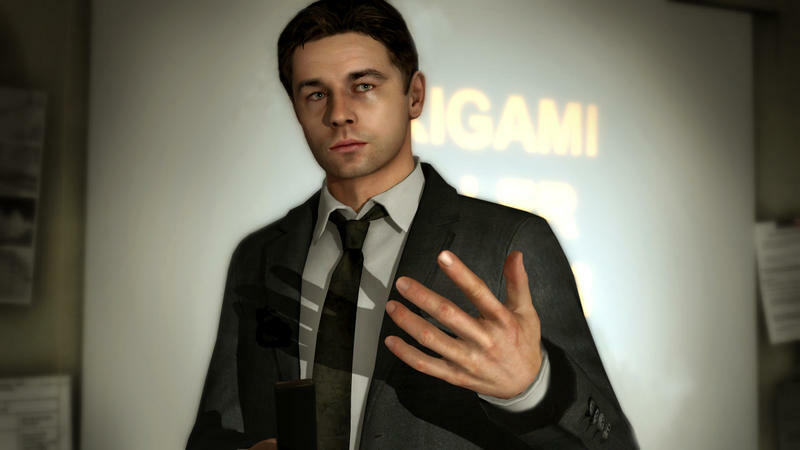 Heavy Rain’s voicework is problematic because of one simple reason: it hyped several accents with folks who weren’t from specific parts of the world. I hear it to this day in my head and cringe every single time. Final Fantasy X was the first game to add voice acting to the series, so you would think things might get a bit rocky given Square’s general lack of experience at the time. Actually, not at all. I will defend Final Fantasy X’s voice acting to the grave. Not a single character was miscast, and I’ll go so far as to say even the widely loathed Tidus is hardly the whiny baby most gamers remember him to be. 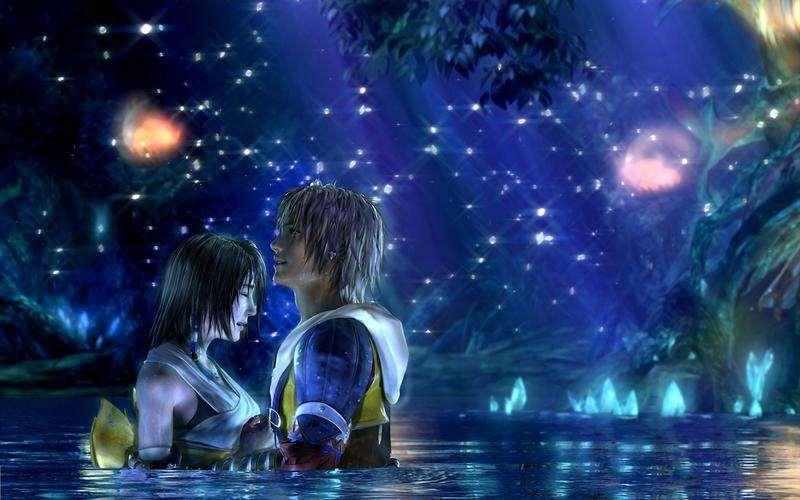 Play Final Fantasy X again, and you might see he’s one of the better protagonists, if not the best, in the series. Final Fantasy X makes this list though not for an overall bad job, but rather for those small awkward moments where an obvious cultural difference between Japan and America arises. Little “ehhhs” and “uhhhs” pop up everywhere in the script, a true sign that this game had a hard time breaking away from Japanese exclamations. Every character also has a lot to say in battle, their cries chants, and grunts tend to grate the brain after countless hours of Final Fantasy’s infamous random battles. Oh, and there is always THIS little gem, which the anti-crowd bring up as its prime example. I won’t even bother to defend this, but seeing as this is one minute of a forty hour game, I don’t think it’s detrimental to the overall presentation. Let’s get something straight. 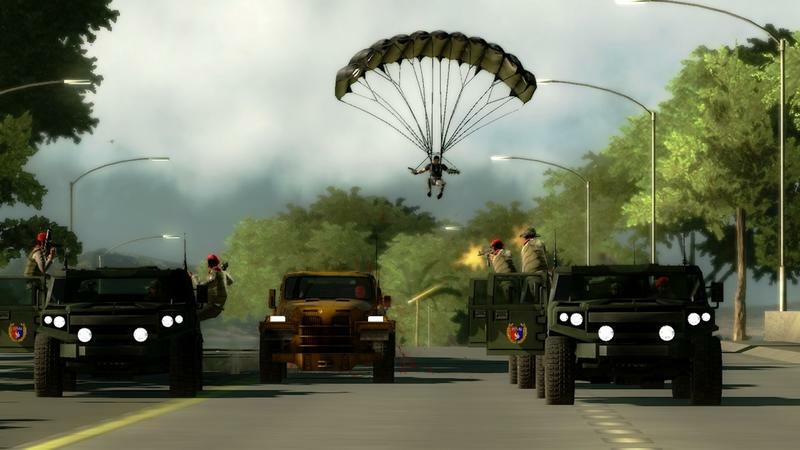 I love, love, love Just Cause 2. I think it’s safe to say that each of the gaming editors here at TechnoBuffalo adores this open world title. It’s fast, it’s fun, it’s creative and it’s really, really cheesy. The voice acting in Just Cause 2, if you actually take breaks from stealing planes and exploding the world, is some of the worst I’ve ever heard in gaming. The world takes place on some sort of fictional, tropical South East Asian island. It boasts inhabitants with the oddest and most comical accents. The lines are terrible, the dialogue is completely awkward and just about every moment of speech is met with some amount of humiliation. Not many people know this, though, because they just want to sling and parachute around the island. In all honesty, we could have filled this entire list with the Resident Evil series, but that would have been boring. By this point, the fans expect a neanderthal level of storytelling in each game or else it doesn’t seem like the authentic experience. So with that in mind, we’ll go with the one which is generally regarded as the series’ high point. All-American Leon Kennedy has always starred in the better games in the series, but I can guarantee it is not because the man has a popular personality. Resident Evil 4 turns the once innocent rookie cop into a hard-boiled secret service agent who loves spitting out cliche American lines about “terrorism” and “freedom,” all with the charisma of a tree-stump. His sentimental banter is taken to new heights only because his verbal opponent happens to be a midget zombie Napoleon with a squeaky voice and a love of all things evil. Resident Evil is the only series that could make an abomination like Roman Salazar and still be taken seriously. And seriously we took it. Resident Evil 4 is one of the most genius video games ever made. Just don’t play it expecting to have your heartstrings tugged at. Of all these games, Shenmue is the one most likely to be seen on a list somewhere else on the Internet. Its awful voice acting is world famous, but there are a few facts you might not have known as how this epic failure came to be. 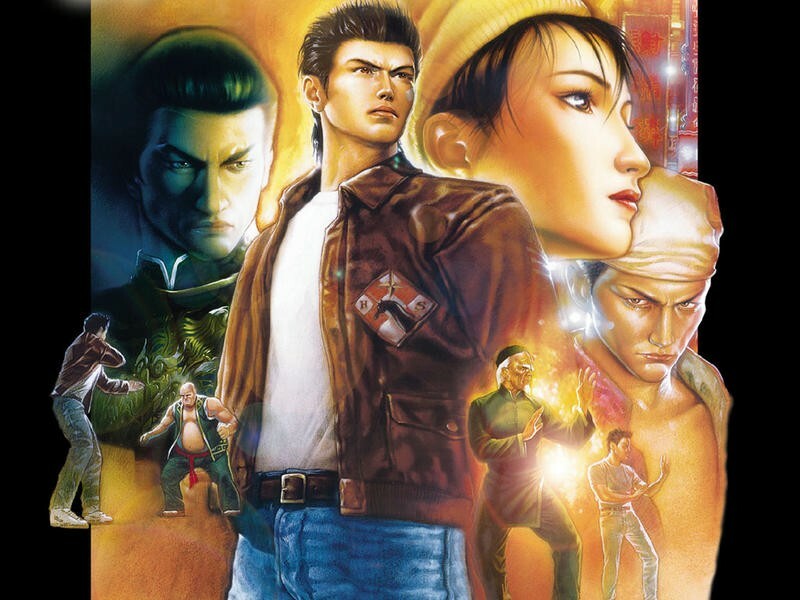 Shenmue is the work of Sonic the Hedgehog Yu Suzuki, a developer infamous for being one huge prima donna. He wanted to put his hand in every aspect of his brainchild, and he of course just couldn’t leave the casting alone. Instead of leaving it to the experts with actual experience in the matter, Suzuki turned to a classic Japanese style of auditions, though, where voice actors are picked because of looks rather than because of their talents. It helps for advertising in Japan to put a face to the voice, and Suzuki figured that the same would work in America. WRONG! Advertising a voice actor only helps to diminish our connection with a character rather than strengthening it. So Suzuki hired a bunch of young beautiful people to play the iconic roles of Ryo and Nozomi who unfortunately were just straight up horrible actors. Good thing Shenmue gets by its other brilliant ideas, and maybe one day, Ryo will find his sailors. 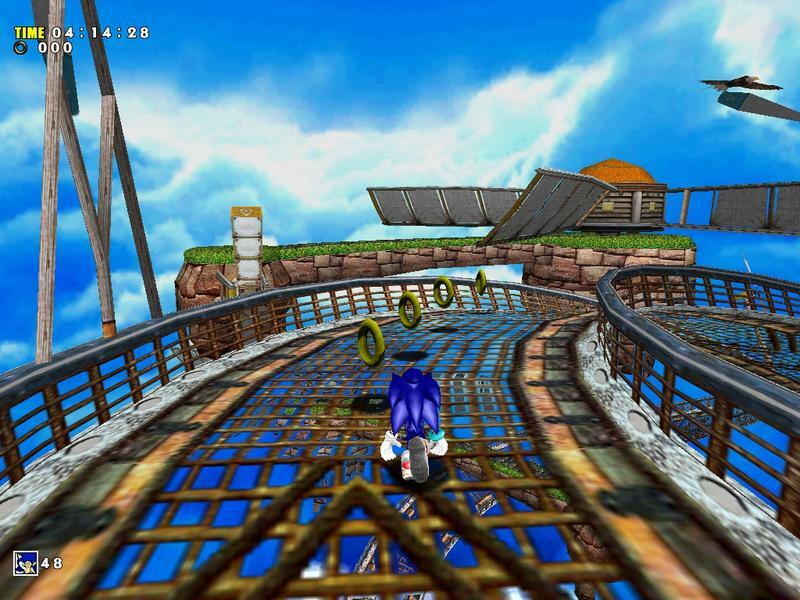 Sonic Adventure was easily one of my favorite titles for the Dreamcast. Vibrant, fast and filled with solid mechanics, it was a game that kept me focused and playing for hours on end. However, even back in 1999, I knew the voice acting was downright terrible. Sega of America tried to personify a really “cool” and “hip” cast of characters in Sonic Adventure. The resulting effort was a pile of voice work that sounded like a group of kids gathered ‘round with their tape recorder and read off a script someone found while surfing the web on their dad’s Prodigy account. Woof, it was bad. It remains bad. It’s so cheesy that I have a hard time playing the game today. I don’t think I can say that for any other game I love.